Ibnsina Pharma are the newest customer of Cashbook, they are an Egyptian company who have their headquarters in Cairo, Egypt. In Egypt, Ibnsina Pharma act as a crucial link between suppliers and purchasers of pharmaceuticals and cosmetics. They serve over 35,000 customers nationwide including retail chains, independent pharmacies, wholesalers and institutional providers. Ibnsina have also developed a fast and efficient distribution model that produces high value for their suppliers, customers and their company. Ibnsina have over 40 different sites in Egypt that they have operations from. Ibnsina also have multiple banks, multiple bank accounts, and different currencies that they do business in every day. L-R: José Landeiro – Senior consultant with IG Solutions, João Serra – BU Manager with IG Solutions, Amro Khorshid – IT Director with Ibnsina, Margreet Peverelli – Global Implementation Manager with Cashbook, Sharon McGrath – Implementation and Support Manager with Cashbook. This was Cashbook’s very first project in Egypt. Sharon McGrath, Implementation and Support Manager at Cashbook and Margreet Peverelli, Global Implementation Manager at Cashbook got a very warm welcome from Ibnsina when they visited Cairo in October. Both Cashbook and Ibnsina worked together for 3 days and made some great headway on the start of this project. Cashbook also enjoyed learning about the different rules and regulations that are in place in Egypt. Ibnsina will be using the three Cashbook modules of – Cash Application automation, Electronic Payments automation, and Bank Reconciliation automation. It really was a great trip to Egypt for Cashbook, and we are very thankful to the employees of Ibnsina Pharma for the warm reception. Cashbook would also like to thank our business partners, IG Solutions, for their help with this project so far. 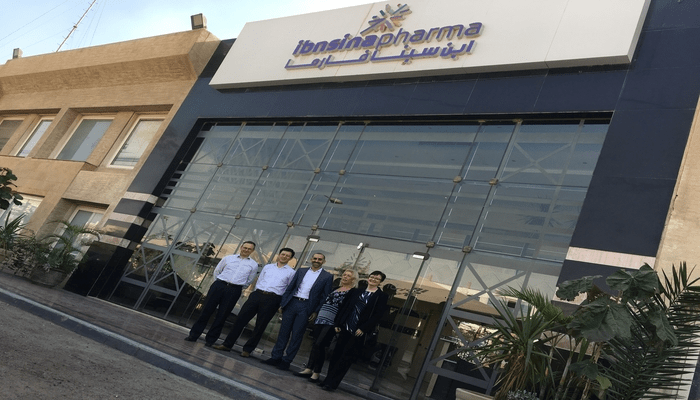 For Cashbook, it was a great pleasure to add Ibnsina Pharma as our customer, and it is also another global client and country that Cashbook adds to it’s ever-increasing list. Cashbook would like to thank Ibnsina Pharma for this great opportunity, and we look forward to working with them long into the future.